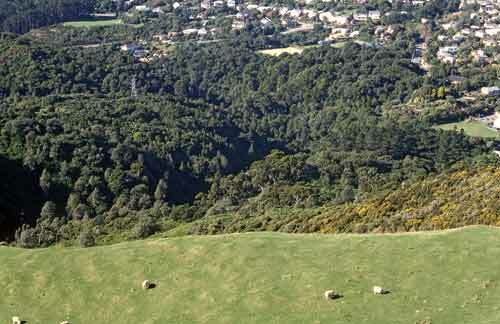 Ōtari–Wilton’s Bush is a 100-hectare reserve that contains Wellington city’s largest area of original native forest – set aside by the early farmer Job Wilton. It has ancient rimu – including an 800-year old tree – mataī, tawa and rewarewa. Birdlife includes kererū (New Zealand pigeons), tūī, fantails and grey warblers. The south branch of the Kaiwharawhara Stream runs through the reserve and supports eel, banded kōkupu, and (exotic) trout. The Ōtari–Wilton's Bush Trust has begun restoring the stream to encourage more native fish. The reserve includes a 5-hectare native botanic garden, the only one in the country dedicated to growing New Zealand's unique plants.